There's something ugly buried deep in our hearts. Left undisturbed, this invader will slowly, steadily destroy us. Irritate it with day-to-day annoyances like traffic jams and spilled coffee—or further still with something that may disrupt an entire life—and destruction is imminent. The Bible warns us about anger, and even prescribes an antidote, but this insidious, volatile emotion is great at disguising itself, and we're often too distracted to call it out. 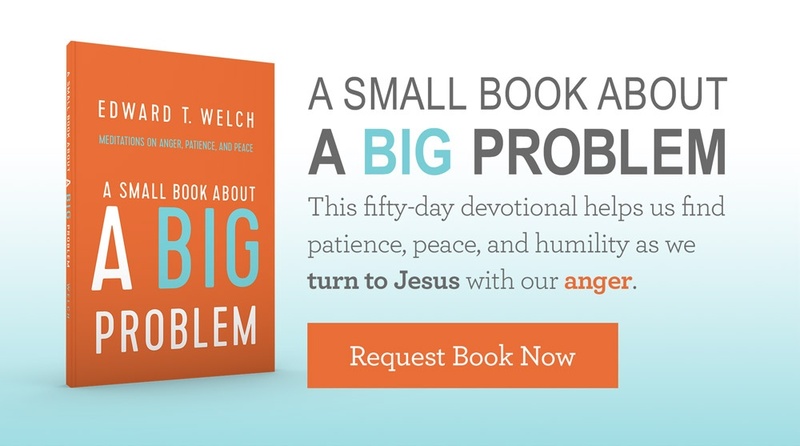 Thankfully, Christian counselor and author Ed Welch has written a helpful resource on anger entitled A Small Book about a Big Problem: Meditations on Anger, Patience, and Peace. Through fifty short readings designed to be considered one day at a time, Welch draws the reader into a loving, grace-filled conversation that exposes anger as a destructive force that threatens to rob us of our joy in Christ. This eloquent, powerful book helps to interrupt the harmful patterns we knowingly and unknowingly take part in as we respond to life's difficulties. Ultimately, A Small Book about a Big Problem offers Gospel medicine as it invites us to look to the Prince of Peace, the only one who can empower His people to grow in patience, peace, and wholeness. Benefit from Welch's years of counseling experience and biblical insight. Request a copy with your donation to Truth For Life today.